EEW Special Pipe Constructions GmbH (EEW SPC), located in Rostock, has been engaged in the production of heavy steel pipes and related pipe components since 2008. Our customers, concentrated in Germany and other European countries, are mainly active in the offshore wind industry and offshore oil & gas sector. 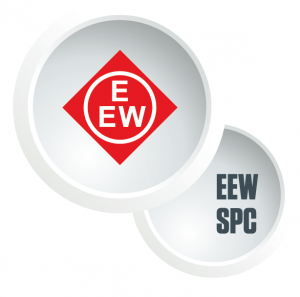 EEW SPC has its roots in the Erndtebrücker Eisenwerk GmbH & Co. KG (EEW) which was founded in 1936. The EEW Group has 2,100 employees world wide with production facilities in Germany, UK, South Korea, Malaysia and Saudi Arabia, as well as several sales offices in every continent. Thick-walled, longitudinally welded large pipes, with diameters of up to ten metres, lengths of up to 120 metres, and up to 1,500 tonnes unit weight can be fabricated in Rostock. The annual capacity of 200,000 tonnes per year is based on the use of stateof-the-art machines and innovative manufacturing methods. EEW SPC has a total of 32,000m² fabrication capability under roof and 198,000m² of storage area. The own quay guarantees direct access to the sea. EEW SPC is also ideally prepared to face the challenges of future offshore wind farms in deeper waters. 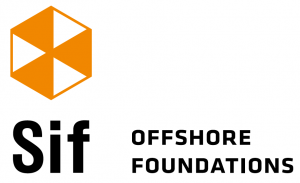 Based on investments in special fabrication halls and equipment, the production facilities for offshore wind products have been considerably enhanced. Now monopiles with a diameter 64 of up to ten metres and with unit weights of up to 1,500 tonnes can be produced. These XL monopiles could be used for offshore wind farms with higher turbine power and in deeper waters up to 40 metres and are the most economic foundation structure available at present. With the company EEW Offshore Structures (Britain) based on by the River Tees, we are also able to manufacture offshore steel structures in the UK. The facilities are particularly well suited for the production of large tubular offshore wind foundations, most notably transition pieces. With our current order intake included, EEW SPC has participated, as foundation manufacturer, in the installation of over 1,700 WTGs for OWF projects in Germany, UK, the Netherlands and Belgium.